Citadel Theatre is one of the North Shore’s theatrical treasures. Their production of The Little Foxes explores the power struggle between family members, particularly men and women. This production features powerful performances by Saren Nofs Snyder, Tim Walsh, and Scott Phelps. 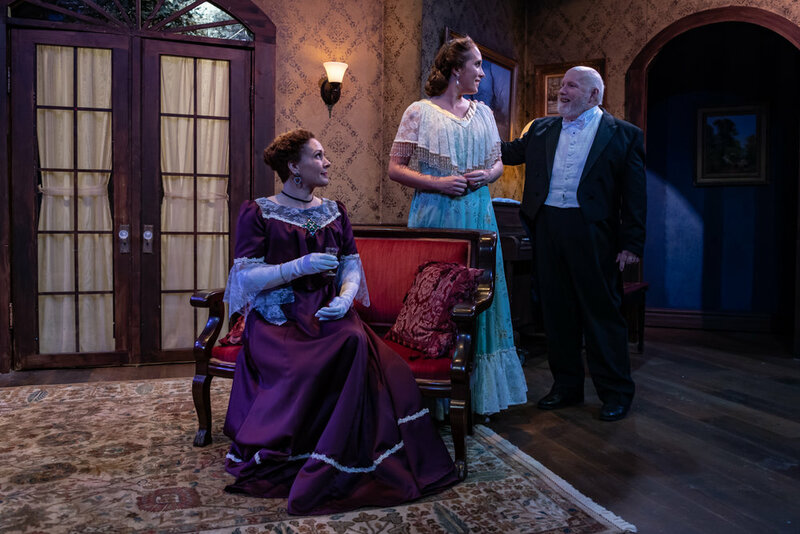 Citadel Theatre’s production of The Little Foxes takes this classic work and makes it come alive with a litany of moral concepts that are timeless. The acting is superb and the set and costumes are beautiful and sophisticated. Director Kristina McCloskey takes an old story and stages it in such a way that contemporary audiences can relate. With a masterfully performance by Saren Nofs Snyder, playing Regina, and a haunting portrayal of Birdie by Alicia Kahn. This production is thought provoking and engaging. Citadel’s production of The Little Foxes is played with all the destructive power that made this drama a classic. Brilliantly cast with Jeff Award-nominated Saren Nofs Snyder as the ruthless Regina Giddens, Alicia Kahn as Birdie Hubbard, and Scott Phelps as Oscar Hubbard. The drama steam rolls to its necessary conclusion leaving audiences saying “whew”.